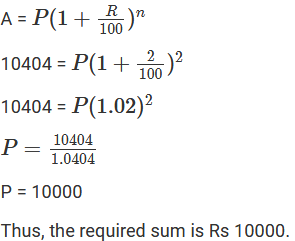 What sum will amount to Rs 4913 in 18 months, if the rate of interest is 12(1/2)% per annum, compounded half-yearly? 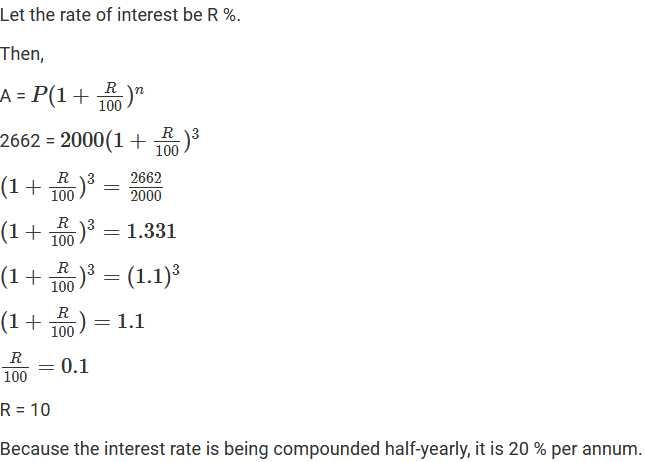 Find the rate percent per annum if Rs 2000 amount to Rs 2662 in 1(1/2) years, interest being compounded half-yearly? 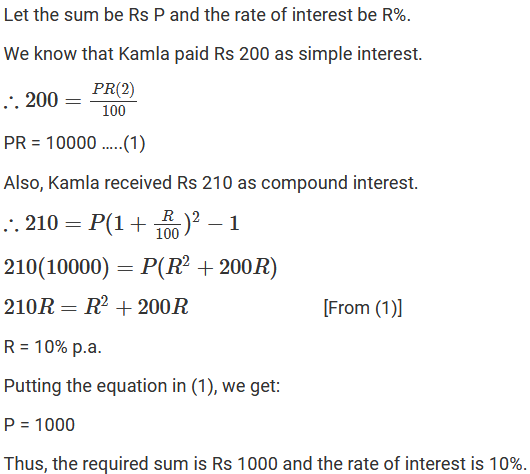 Kamala borrowed from Ratan a certain sum at a certain rate for two years simple interest. 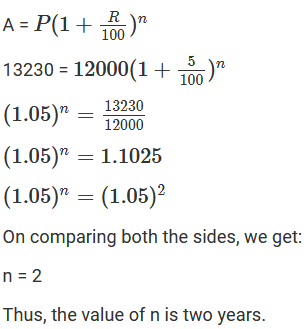 She lent this sum at the same rate to Hari for two years compound interest. 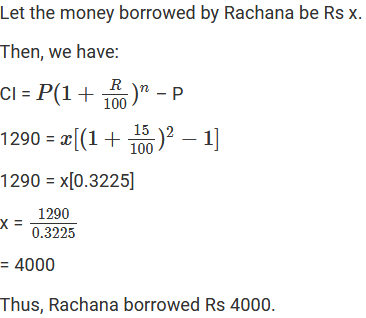 At the end of two years, she received Rs 210 as compound interest but paid Rs 200 only as simple interest. 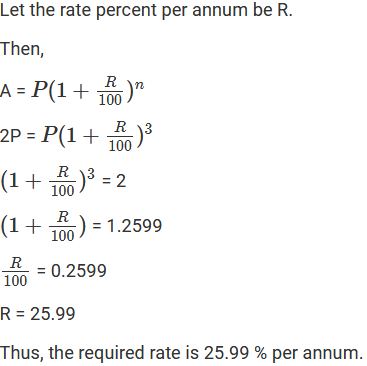 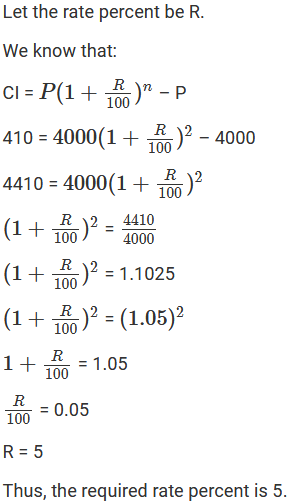 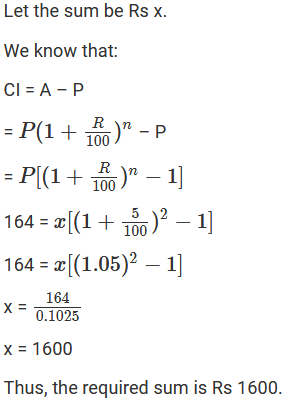 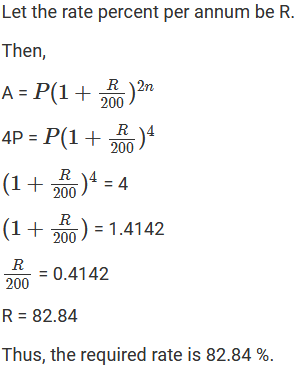 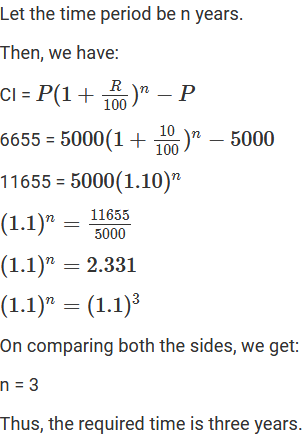 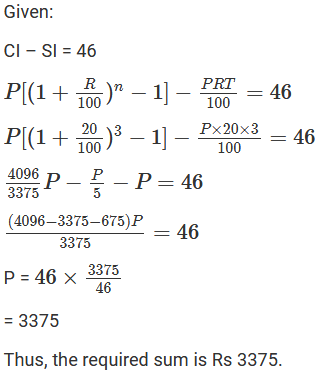 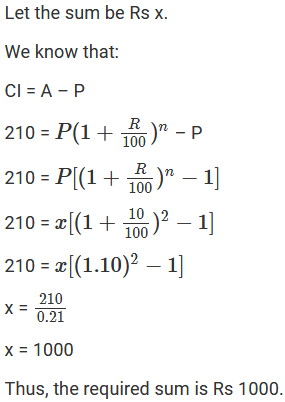 Find the sum and the rate of interest. 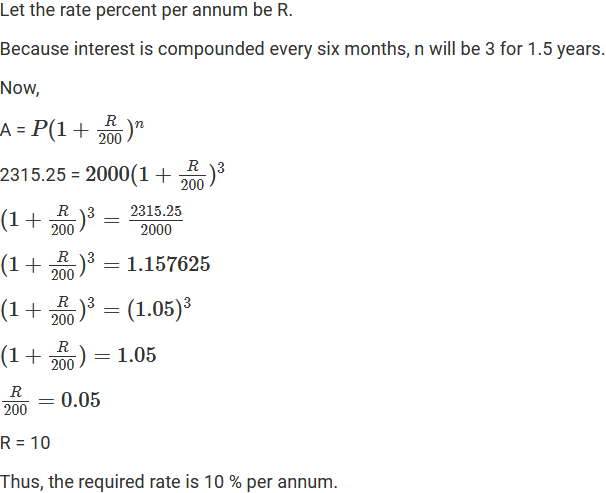 Find the rate percent per annum, if Rs 2000 amount to Rs 2315.25 in a year and a half, interest being compounded six monthly. 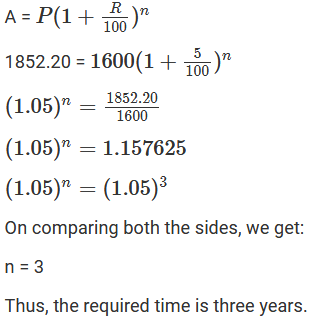 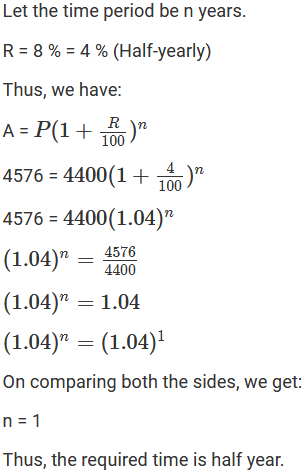 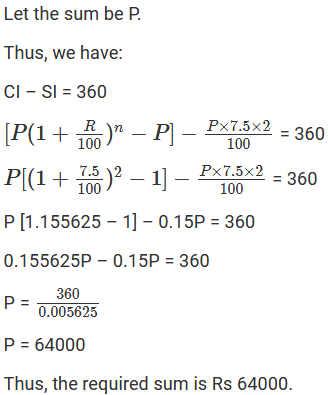 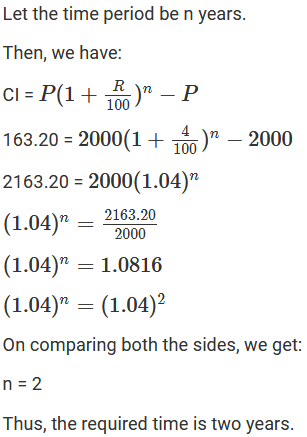 Find the rate at which a sum of money will double Itself in 3 years if the interest is compounded annually. 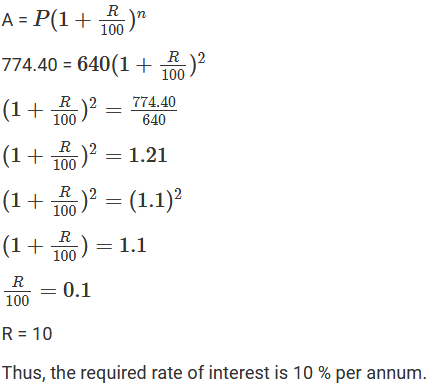 Find the rate at which a sum of money will become four times the original amount in 2 years if the interest is compounded half-yearly. 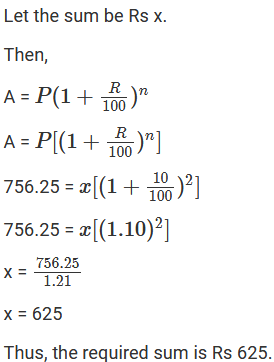 A certain sum amounts to Rs 6832 in 2 years at 8% compounded interest. 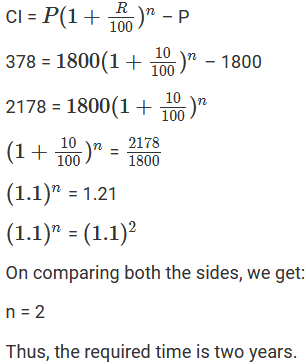 Find the sum. 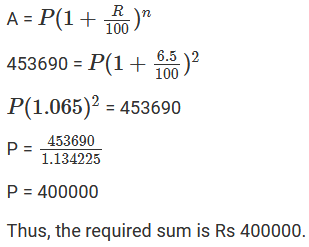 The difference in simple interest and compound interest on a certain sum of money at 6(2/3)% per annum for 3 years is Rs 46. 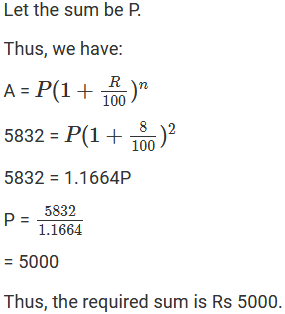 Determine the sum. 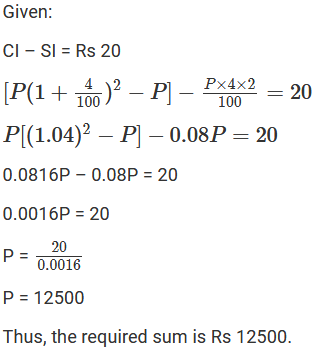 Ishita invested a sum of Rs 12000 at 5% per annum compound interest. 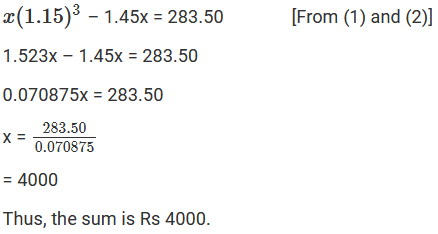 She received an amount of Rs 13230 after years. 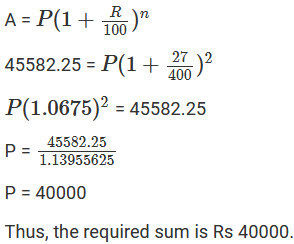 Find the value of n.
What sum of money will amount to Rs 45582.25 at 6(3/4)% per annum in two years, interest being compounded annually? 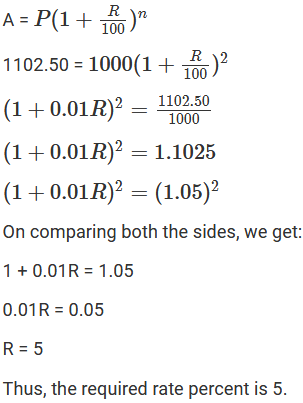 Sum of money amounts to. 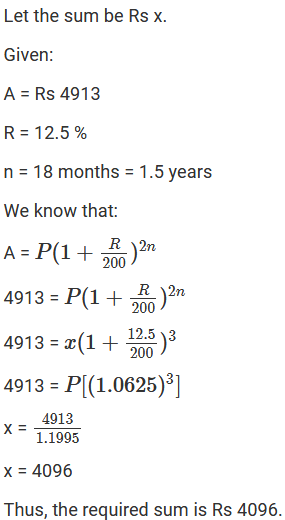 Rs 453690 in 2 years at 6.5% per annum compounded annually. 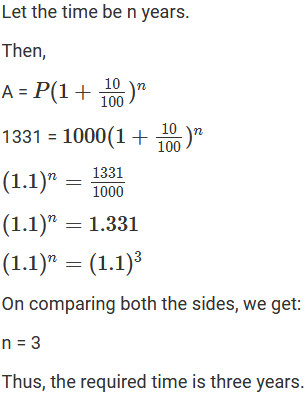 Find the sum.